We had a great season in 2017. Besides being great athletes we saw much personal growth in our team members. We are very proud of the academic achievements of our kids and the strides they take to be great students. We will have a big crop of fresh new faces this year. One of our largest groups of new team members ever. We will have outstanding performers in every single aspect of the sport. Sprints, Middle distance, hurdles, throws and jumps. We have some exciting new coaching processes and a new Academic Development Council to help our High School kid athletes achieve their collegiate goals. 2018 will be our greatest season yet. Hawa Kamara one of the most versatile athletes in the CCS had a breakthrough year in the section Girls 400m dash. 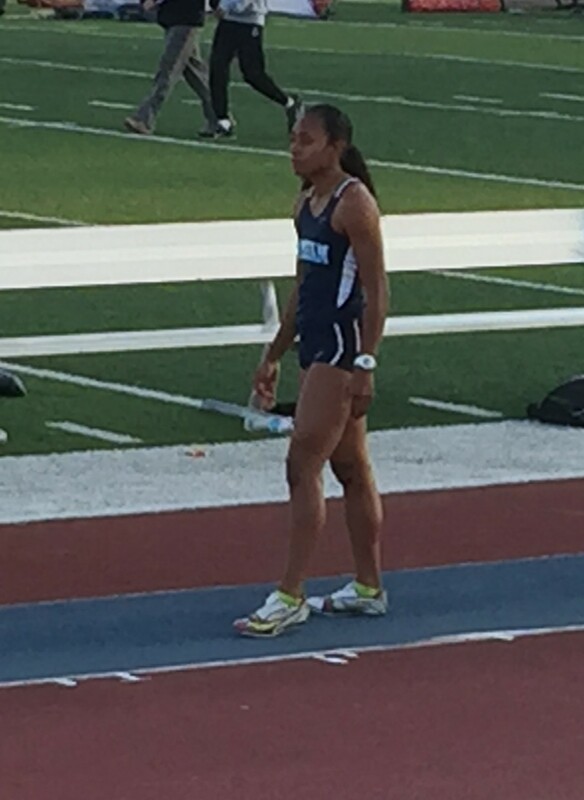 She led the BVAL and MHAL throughout the season with a personal best mark of 56.49, a CCS dominating mark. Her powerful performance also was captured in the girls Triple Jump as one of the top 5 jumpers in the CCS with a personal best of 38'2.5". Hawa was CCS runner up in the girls 400m and California Track and Field State Meet qualifier. 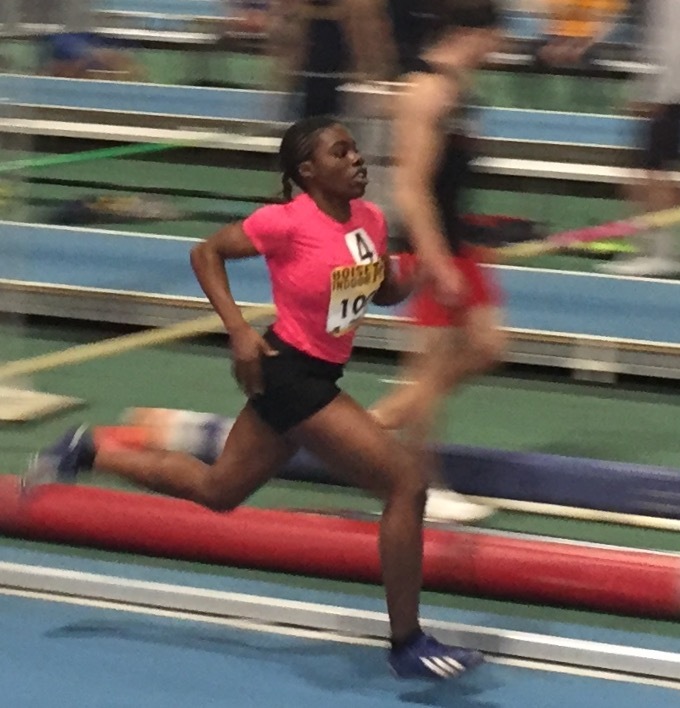 Hawa will be returning this coming season as a senior and the leading 400 meter runner in the section. We are looking forward to seeing her have many more breakthrough moments in 2018! Kalesi Budei made the all-conference team for Cal Poly Mustangs finishing 3rd place at the Big West Championships with a career-best mark of 40' 9". Jasmine Moreno had a great Sophomore season. She recorded some of her best times as a collegiate in the 100/200 meters. Sophia Le began her collegiate career at Cal Poly, Pomona. She competed in the 100/400 meters hurdles. Congrats Kay, Sophia and Jasmi! Kyler Spindola (Jr.) had another successful season. He repeated as a CCS Finalist in the 800 meters and took place despite battling a hamstring injury. He also proved to be one of the top 400 meter runners in the section as well. Kyler competed in every event from the 200-3200 meters and the 4x400 relay. Another one of Heritage and CCS Most Versatile sprinters in the section. Nathan Viskovich( Jr.) ranked in the top 20 in the 400 meter for most of 2017. He recorded a season's best 50.60 at the BVAL meet. He is also one of our Top student athletes with a GPA over 4.25. Nathan was Junior Class President and head of Leigh High Habitat for Humanities Chapter. Chris Rue( Sr.) was our Team Captain. Chris our best 1600/3200 meter runner. He achieved personal bests in each in the tough Mt. Hamilton league of the BVAL. Chris also was a Top Academic achiever. He is on his way to Texas A&M University in the fall. Celebrating our traditional summer picnic with the Heritage Track Club family. As our Heritage Family grows we welcome a number of young new athletes to our team as well as celebrate the next chapter for our graduating seniors and college athletes. Yearly we have our team bring a dish from their heritage so everyone can celebrate each others culture, uniqueness, and spirit of family.